Planning a Walt Disney World vacation doesn’t happen overnight. You’ve got ADR (Advance Dining Reservations) to thoughtfully plan out six months in advance, you’ve got fastpass+ reservations that happen two months out, and that doesn’t even include the forethought that goes into choosing accommodations. Though we are spontaneous travelers by nature, this is the one trip that we plan everything out to a T. We roll with the punches once we get here, but unless we want to be stuck waiting in line for rides all day feasting on french fries for breakfast, lunch and dinner, strategy is a necessity. 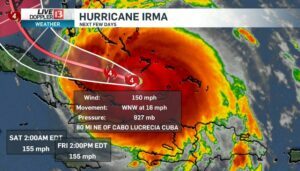 Hurricane Irma came barreling through the Caribbean and Florida three days before our annual family trip to Walt Disney World was planned, threatening our highly crafted plans. 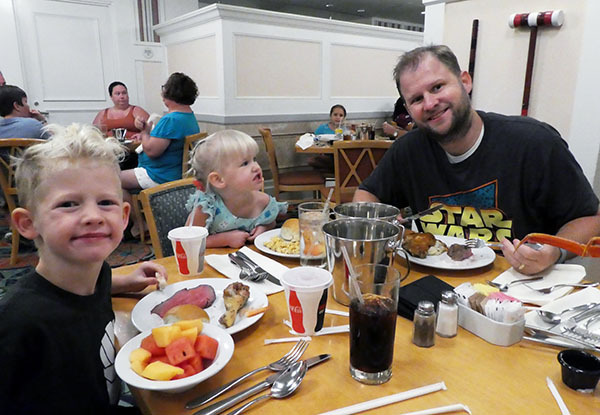 Considering the forethought that goes into a proper Walt Disney World trip, it wasn’t as though we, or anyone in our position, could just swap out their reservations for a different week when conditions were more favorable. We watched the progress of the hurricane minute by minute and were so grateful when Walt Disney World was spared from Mother Nature’s wrath, or government weather warfare, however you look at it. Our hearts go out to those affected by Hurricane Irma. Working for an airline I have witnessed the devastation up close and personal, and listened to, cried with, and assisted thousands of people who have experienced the turmoil of the Hurricane’s wake. Walt Disney World is a ghost town in the aftermath. A sad cry of the reality that so many are now facing in this region. 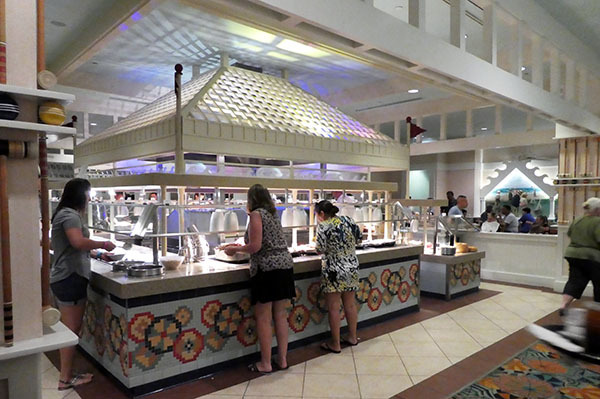 Cape May is a restaurant located at the Beach Club Resort, tucked away in the back corner of the main entrance lobby. It’s coastal theme fits right into the surroundings with seafood menu offerings. This is a simple buffet with a variety of choices that you’d expect when strolling up to a cafe in the middle of the Hampton’s in white khaki’s on a hot, yet breezy, summer day. 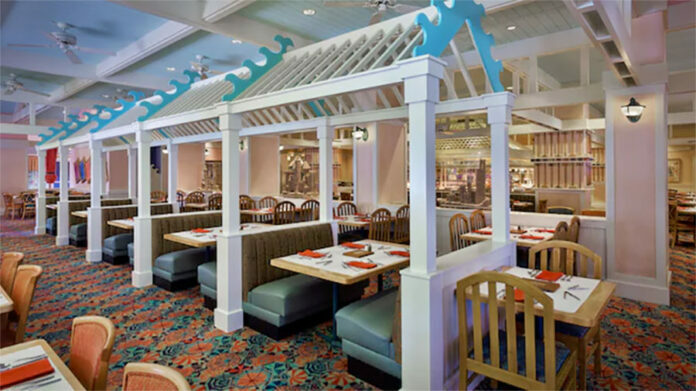 Menu offerings for the New England Style Clam Bake & All American Adult Dinner Buffet at Cape May include lots of seafood, which shouldn’t come as a surprise to anyone considering this coastal location is intended to mimic a beach. Mussels, cocktail shrimp, giant crab legs, clam chowder and salmon are all included in this seafood buffet. 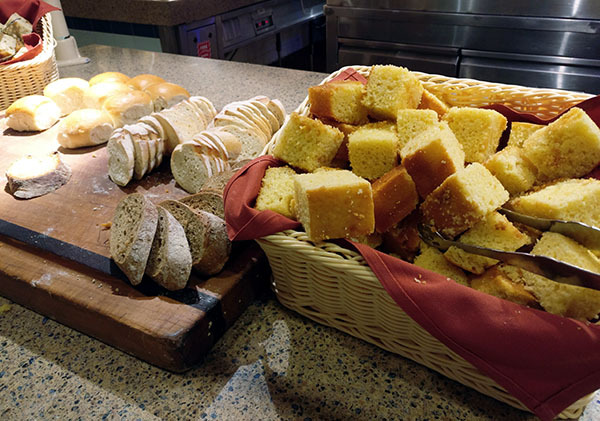 In addition, you’ll also find an entire array of bread selections, including the most moist and soft cornbread I’ve ever had! Caesar salad, pasta, macaroni and cheese, potatoes, prime rib, chicken drumsticks, corn on the cob and a cheese platter round out the offerings. Though we haven’t dined at Cape May for breakfast, they also offer breakfast seating as a character buffet with Minnie Mouse and friends. Typical breakfast fare including waffles, fruit, and omelettes are in abundance. We were late for our reservation after getting utterly lost at Disney Springs. It’s so different from even just last year that we had no bearings on our location. Even though we were late they honored our reservation and we were seated right away. Brenda, who has worked for Disney since she was 19 years old, was our server. 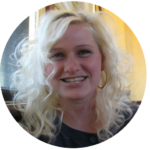 Originally from Ohio, she was attentive, mature and clearly knew her way around the dining room. We can’t say the same for everyone else. Located the next table over, the patrons here burped so loudly and unapologetically for the duration of their meal, and consequently ours, while giving us the stink eye every time we slightly glanced their direction. It sounded like a laugh track. It was that obnoxious. We were horrified to find out midway through the meal that a member of the party was actually a Disney castmember herself! She’s burped her way through the Disney ranks for 11 years. The food here was exceptionally good. The clarified butter came hot, dripping from a dispensary and tasted pure (not like some places where you truly wonder if they scooped it out of the toilet bowl). Crab legs rivaled the size of your forearm, thick, smooth and delicate. The prime rib was cooked to absolute medium rare perfection, tender in every bite. Mashed potatoes with skin included were smooth and creamy. Our eyes were bigger than our tummies, as we remembered when we called the Oregon coast home and gorged on plate after plate of crab legs. Our seater was an adorable young man. A few minutes after we had been seated and had made on trip around the buffet he showed up with a full bowl of watermelon and cantaloupe for my son. I exclaimed surprised, “Where did this come from?” He answered that he had overheard my son lament that he couldn’t find any fruit and because he was so sweet and so cute he didn’t want to disappoint him. Our little Widmore could live solely off of watermelon so this was an especially magical surprise! “This place is actually a good buffet, unlike a lot of places here,” one man struck up a conversation with me as he complained about the person before him who emptied out the entire bowl of cocktail shrimp onto his plate. He comes here no less than three times a year because he loves the shrimp and crab legs so much. The dessert bar really isn’t anything special, offering various miniature cupcakes, cookies, and brownies, however, they do offer a blondie that I did not feel bad about eating a handful of. ► For Kids: The macaroni and cheese is said to be world famous at Cape May’s, and along with the pizza, bread and chicken kids will find something to fill their ravenous tummies. 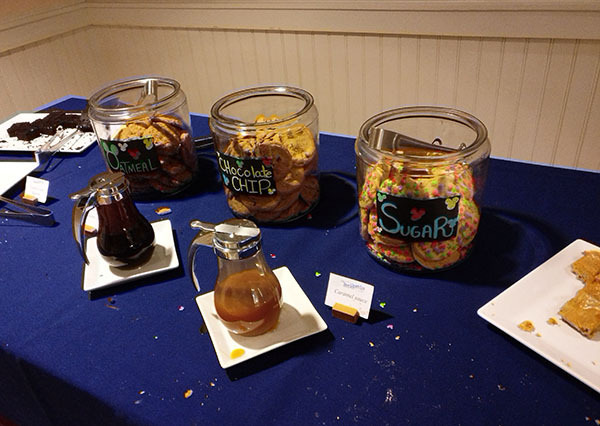 While the breakfast buffet offers character dining, the dinner buffet isn’t particularly special when it comes to offering Mickey magic, or theming. Have you dined at Cape May for dinner or breakfast? 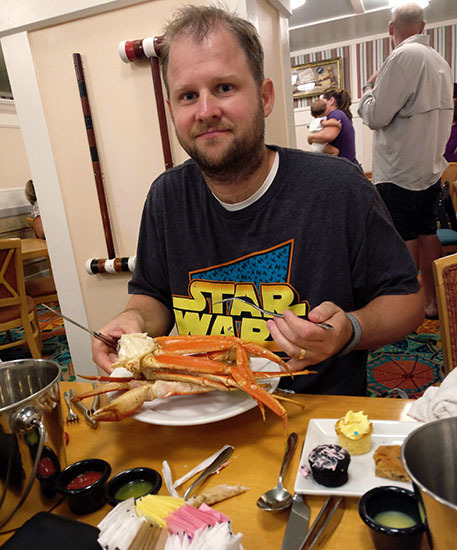 We’d love to hear about your breakfast experience, or if you ate more than 4 plates of crab legs at dinner like we did! 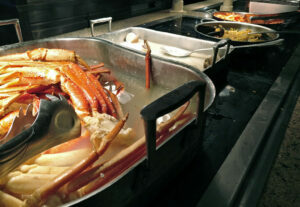 ► Nap-Time Version: Seafood Buffet restaurant at the Beach Club resort with huge crab legs and super yummy food. Check out the other restaurants that Walt Disney World has to offer, and the Last Guide you’ll ever need for the Disney Dining Plan.